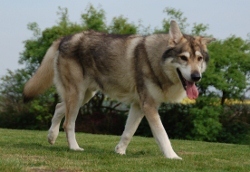 Tamaskan Dog Register Forum • View topic - Where do you live ? Tamaskan Map of the World. Where do you live ? Tamaskan Map of the World. Re: Where do you live ? Tamaskan Map of the World. tupac34 wrote: Anyone from the Asian country? To be specific Singapore? Is that possible to get the Tamaskan to Singapore? I’m from Greenock, Inverclyde on the river clyde, about 20mins from Glasgow airport!